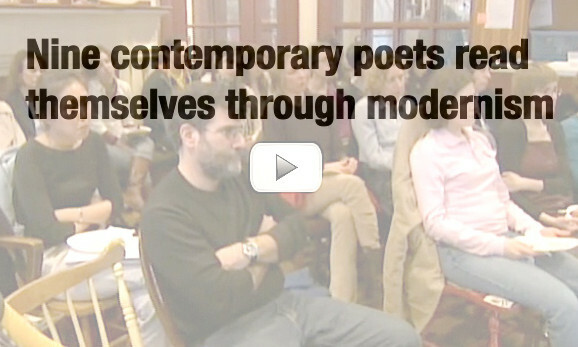 Back in the fall of 2000 we invited nine poets to “read through” their relationship to a modernist poet. They talked and read their own and that modernist’s poems. Each presented for 20 minutes. We recorded the events (three nights) and made audio recordings available (then in RealAudio format). Recently, one of our digital editors, Mike Van Helder, organized all this material, converted the streaming RealAudio files into downloadable mp3s, made the links really easy to use, and copied the poem files onto the PennSound author page of each of the nine poets. The idea for the project was Bob Perelman's. Kerry Sherin Wright and I hosted and introduced.